Keep your agenda open for our upcoming, really cool Discover Hammond bike ride, on Sept. 15, starting at 10:00 a.m. at the blue fountains at Memorial Peace Park, with several pick-up points along the way. This ride will be led by Ian McLeod, who has an interest in "land use, transportation and civic culture in British Columbia's Lower Mainland" and writes about these issues on his blog Fraseropolis.com, and who, together with Claus Andrup, recently published the booklet Aesthetic Maple Ridge. With the help of the Hammond Neighbourhood Group and the Maple Ridge Museum, Ian's been digging up some interesting history of Hammond, and he would like to share it with you, and show you some of the well-preserved and also some of the not so well-preserved remnants of Hammond's past. 10:20 - Ridge Meadows College on Thorne Ave.
After a tour of Hammond of probably about an hour or so, the ride will end in Hammond. Those who wish can ride back to downtown Maple Ridge with us. 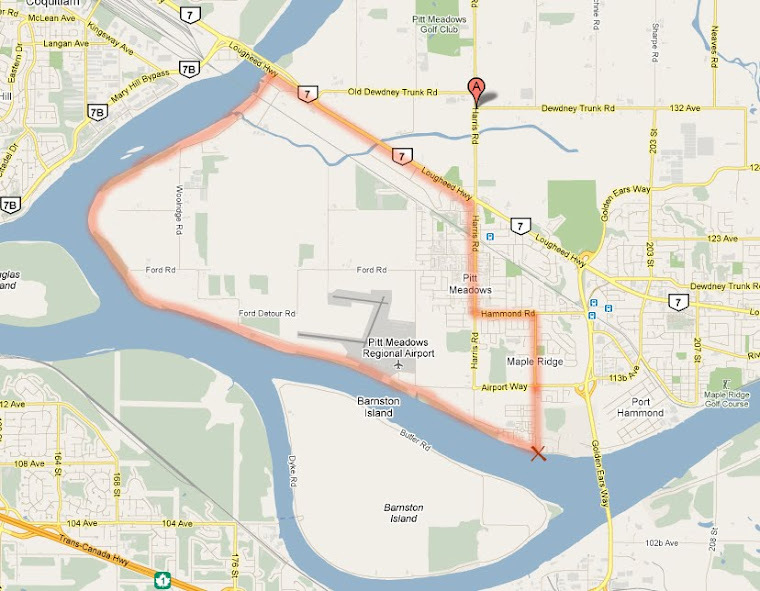 The distance of the ride from Memorial Peace Park to Hammond is approx. 13 km. Note that our rides are "unguided". This means that you're welcome to meet us at the suggested times and to ride along with us, but you do so fully at your own risk. We choose quiet routes where possible. Those who are not comfortable riding on River Road by Ridge Meadows Hospital can ride on the sidewalk. In case we cancel the ride due to rain, it'll be posted on the blog on Friday Sept. 14 by 8 pm. Hope to see you on Sept. 15th!